We enjoy making our Statesville, NC clients’ dreams come true by creating the perfect home designs that their families can enjoy for years. Home Designs in Statesville NC – At 1st Choice Home Centers, we can help with home designs for those in and around Statesville, North Carolina. We have an upper management team with over 27 years of experience in the industry. Our team has been building manufactured homes in the area for years, with many satisfied customers who are enjoying their new homes. We offer a variety of different home styles, whether you are looking for a simple single-family dwelling or a more expansive home to fit with your lifestyle. We have modular homes, prefab homes, and manufactured homes, so you can move into your new home faster. Our team at 1st Choice Home Centers understands that the home is the most important investment that anyone will make during a lifetime. If you are shopping for your first home purchase, we can talk to you about options and make sure that the plans will fit within your budget. If you are a more experienced home buyer, we can still provide guidance along the way as you choose the elements that will make the home feel like your own. We enjoy making our clients’ dreams come true by creating the perfect home designs that their families can enjoy for years. With so many different options for home designs, it might feel a little overwhelming to choose the one that is right for you. Our team can sit down with you and explain the pros and cons of different style and design elements, so you can make sure that the home you choose will meet the needs of your family. 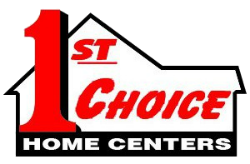 1st Choice Home Center offers quality home designs in Statesville, Troutman, Taylorsville, Mocksville, Maiden, Lincolnton, Conover, Newton, Union Grove, Harmony, Hickory, Mooresville, and surrounding areas of North Carolina.